Iconshock, providers of professional icons, is back again to share to you wonderful Six Revisions readers a quirky and unique icon set: The Dream Geek Team. 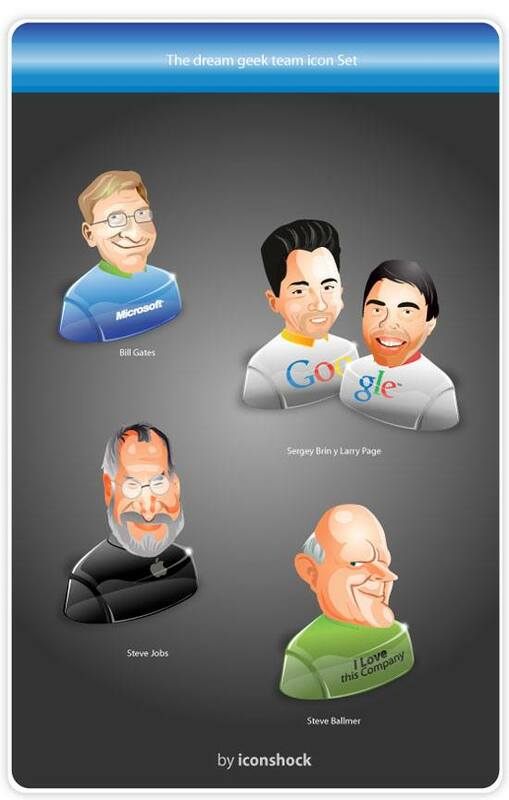 The set features well-known IT celebrities: Bill Gates, Sergey Brin and Larry Page, Steve Jobs, and Steve Ballmer. There are 8 PNG files included in this set. We hope that you find a good and fun use for these! You can use these for any purpose, commercial or personal, but you cannot redistribute the files as-is without first notifying the Six Revisions staff.